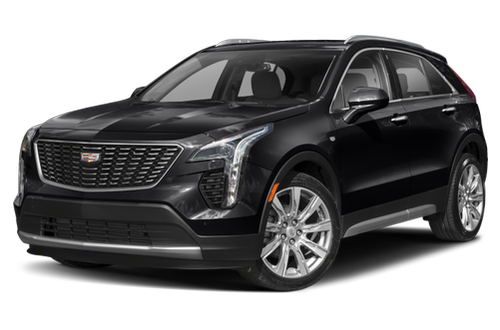 Have You Driven the 2019 Cadillac XT4? Well thought out SUV. Just traveled 250 highway miles at 70 mph and averaged 29.2 miles per gallon - incredible! My 6 cylinder, 2015 top-rated SUV never got more than 22 mpg on the highway. The advanced adaptive cruise control is truly set and forget. Will even stop the car. Made the 250 mile highway drive a breeze. XT4 is well laid out - smart combination of buttons and touchscreen makes it easy to operate - no fumbling for climate controls, heated seats, or switching audio tracks. Very convenient volume control knob ensures you play all your music at the perfect level. (Or you can use the up/down volume control buttons on the steering wheel if you prefer.) Advanced technology makes the XT4 a pleasure to drive. The other day a neighbor was walking his dog as I was rounding a corner. The person icon in the heads-up display turned yellow and the SUV automatically slowed. XT4 will anticipate things before you do. XT4 is an interesting SUV that combines technology and comfort for a fun-to-drive, performant SUV. 23 out of 23 people found this review helpful. Did you? Had the car for 2 weeks and a problem with the transmission occurred. My car was at the dealer for 1 month. Car was returned to me and within 3 weeks-another transmission problem. The engine also sounds louder in the car than it should. So disappointed. I know I'm going to be in for quite a fight getting out of this automobile. Looking for an attorney who would start a class action case against gm. Paid an awful lot for such a lemon. I would look at another vehicle. It is such a shame because this automobile is gorgeous. THE 2019 CADILLAC XT4 LUXURY MODEL HAS IT ALL ! THE 2019 CADILLAC XT4 IS HERE AND IT DEFINITELY WILL HAVE HEADS TURNING. IN MY OPINION IT IS LIVING UP TO ALL THE PRE RELEASE HIPE. THE EXTERIOR STYLING IS VERY ATTRACTIVE,BODY LINES ARE SMOOTH AND SHARP. THE INTERIOR IS COMFORTABLE, ROOMY AND GIVES YOU THE OPTION OF TOUCH SCREEN OR PUSH BUTTON CHOICES FOR SETTINGS. COLOR CHOICES & INTERIOR CHOICES ARE VERY NICE AND ONCE YOU HAVE DECIDED ON THOSE THEN YOU CAN PAIR UP ANY OTHER OPTIONS YOU MAY LIKE WHICH ARE PLENTIFUL AND AVAILABLE TO YOU DEPENDING ON WHICH MODEL YOU GO WITH. THE RIDE IS VERY SMOOTH AND QUITE REACTIVE WITH THE 2.0 LITER TURBO ENGINE. I AM EXTEMELY SATISFIED AND HAPPY WITH MY VEHICLE CHOICE. I purchased it in January. I have over 1,000 miles on it and it started a shudder while driving. I called OnStar no codes came up nothing was wrong. Two days later it got worse would barely change out of gears at times. Called OnStar the second time and still no error codes. I took it to the dealership I bought it from and it needs a new transmission, automatic transmission fluid pan, automatic transmission fluid cooling exchanger and torque converter replacement for FWD and AWD. Just unbelievable for a brand new car I feel like I haven’t even got to enjoy yet. Very disappointed. We really love the XT4! It’s very nice to look at, and the inside is gorgeous. All the features work great and are easy to use. We always get compliments on it from strangers as well. We like it much better than our previous BMW X1. If you’re considering this car you’ll love it! We have the Sport model with the winter package and lane assist and AWD. Apple car play works great and is easy to use. The car is fabulous. I have an Apple IPhone 7. EVERY time I get in the car I lose all volumes. Had it to the dealer, after having it for 3 days, no fix. The dealer got a case # from Cadillac which was nixed with no comment. I then went to phone store, not the phone, called onStar & no help, called Cadillac direct, spent an entire 2 days off & on, they never heard of the problem & gave me a case #. After not hearing back fo a week, I called Cadillac back----!!!! The case # was closed!!!! Zero, Nada, No communication!!! When I get out of my car if I do not raise my volumes, I miss all calls!!!! Oh & P.S. I use my phone for my job. IF APPLE PHONES ARE NOT COMPATIBLE, THE CONSUMER SHOULD BE TOLD. The car is going back to the dealer Wednesday- I will not leave until I get a remedy. The conclusion should not be that I need to buy a new phone. Cadillac should sell the cars w/a phone package. Other than the phone issues, I love the car. Just wish Cadillac cared.